Allow me to introduce to you a local artist we recently commissioned to update the artwork here at QGC. His name is Jeffery Hanson. He is legally blind. As you scroll down and look at the artwork he created for us let that statement sink in. Jeffery Hanson is legally blind. At the age of six, a mass was found at the intersection of Jeffery’s optical nerves for both his eyes. Jeffery was diagnosed with optic glioma. His options for treatment were few, and could have left him completely blind. He describes his eyesight similar to seeing through Swiss cheese. He says that some small spots are better than others, but nothing is clear. 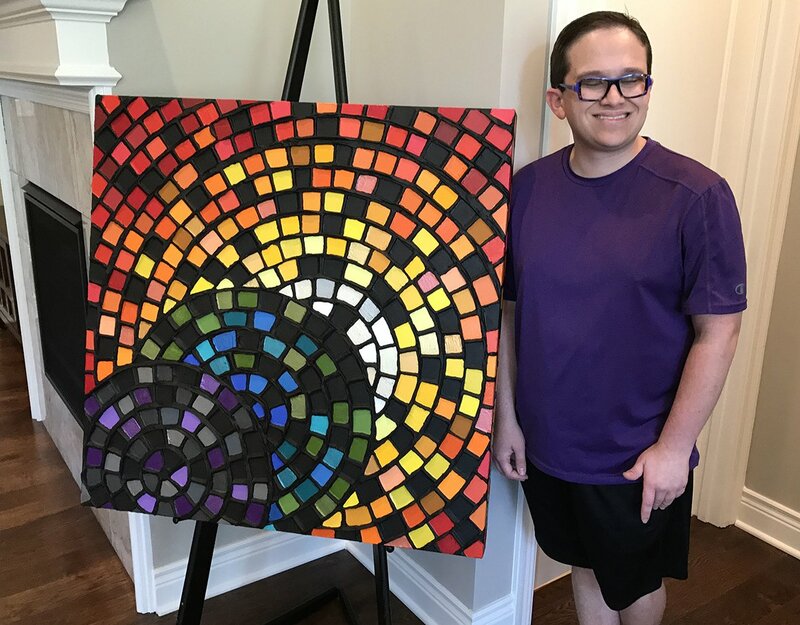 So how is someone who is legally blind able to paint and create the amazing pieces that he does? It’s a trick, his parents paint it for him, he’s faking, he can see more than what he claims. No, Jeffery really can’t see the way you do as you are reading this blog. He can’t drive, he can’t do a lot of things you and I take for granted. But, man, he can paint! Jeffery’s mom explained to me that when Jeffery was a boy she would have his friends from school over and needed an activity they could do. 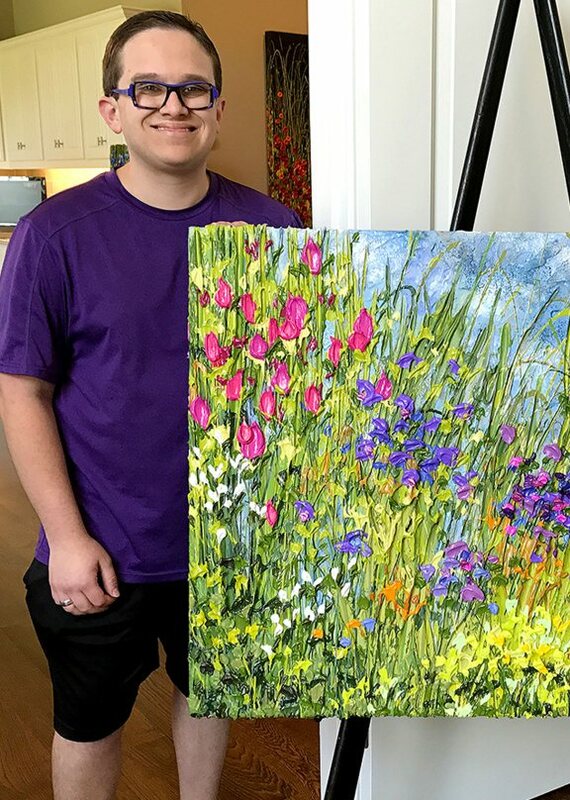 “He couldn’t play video games or run outside, so I would have them sit at the table and paint with water color.” His friends would paint stick figures or some other typical things kids do but Jeffery would paint fantastic works of art that his mother Julie would send home with the kids as thank you cards for letting the kids come spend time with Jeffery. These cards received rave reviews and Jeffery’s parents began nurturing his talent and encouraging his painting. 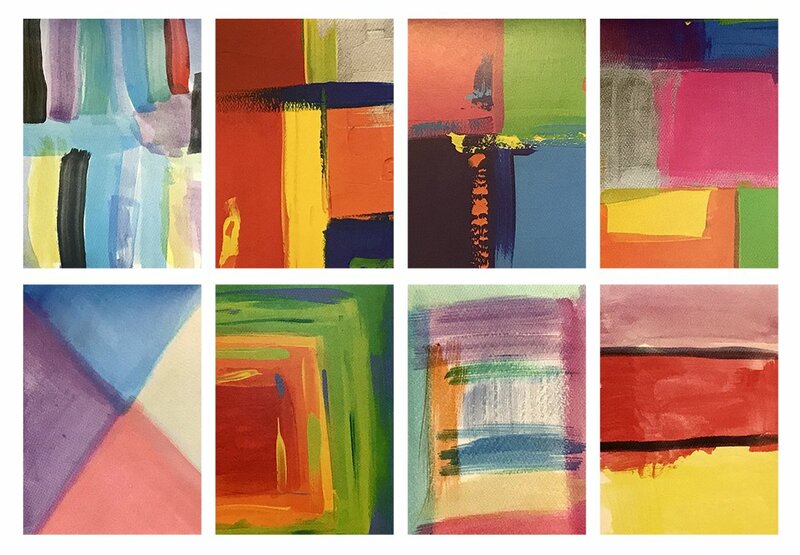 Water color evolved to vibrant acrylics, and brushes were supplemented with construction tools. 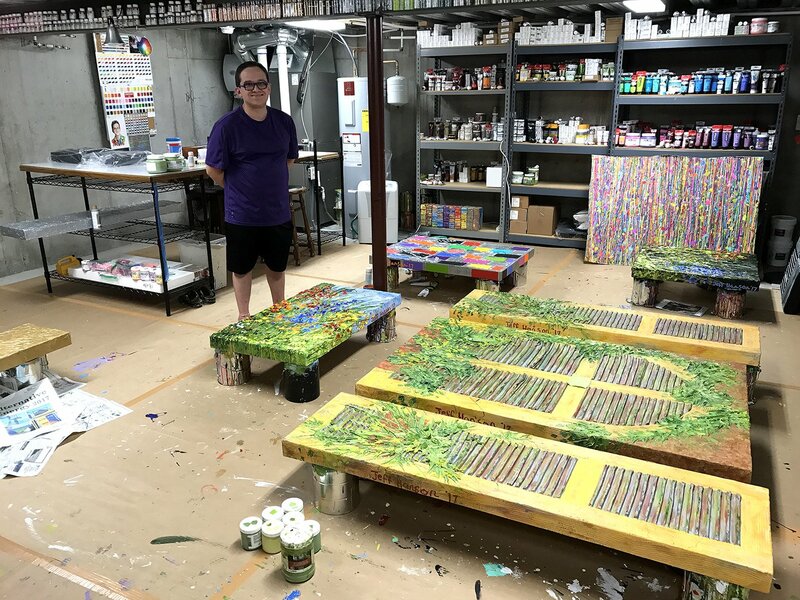 Jeffery feels his art with the aid of modeling paste, and turns flat lifeless surfaces into multi textural and dimensional art. It’s art that makes you marvel. When you look at his art, you have to resist the urge to touch it. The visual layering of color and textural complexity will give you no hint of his disability. He effortlessly combines the sense of touch with visual brilliance. Jeffery Hanson is an accomplished and professional artist. 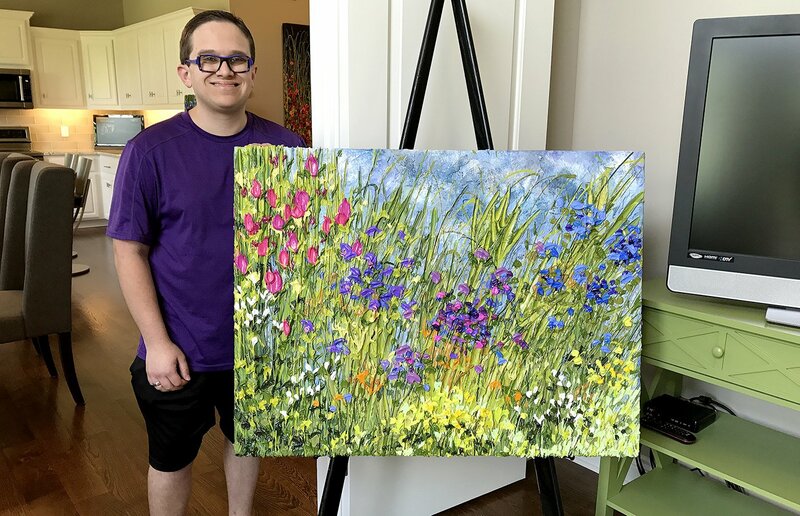 Like Jeffery’s love for art, his parents have a love for their son that shines through. His parents are remarkable people who in many ways have sacrificed to make big things happen for their son. But you’ll never hear a complaint or sense of sacrificial inconvenience from either of them. Many have benefited from Jeffery’s art, including hundreds if not thousands who have benefited from the family’s philanthropic work. 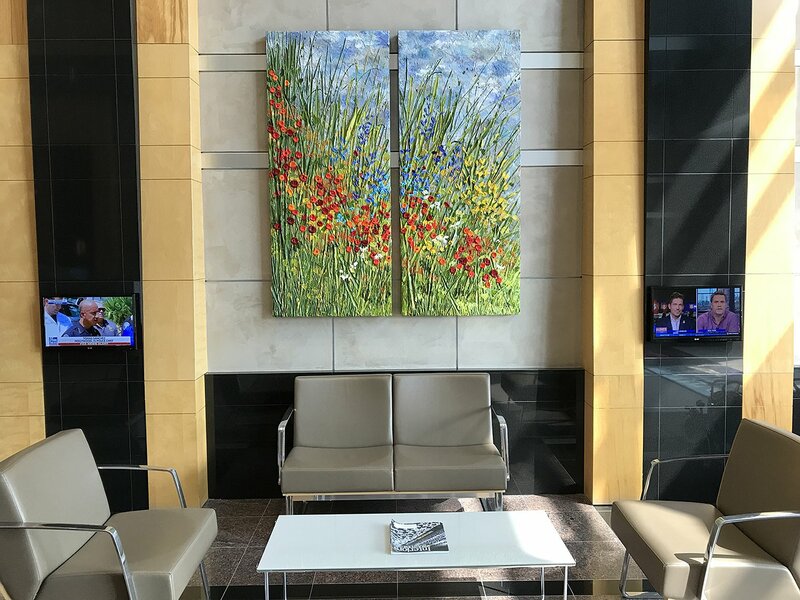 So, can artwork really create a better workplace experience? Well, in our case, we refreshed our art and gave it a significant upgrade. We have pieces that are visually stunning and inspire our employees not to allow barriers to limit their success. 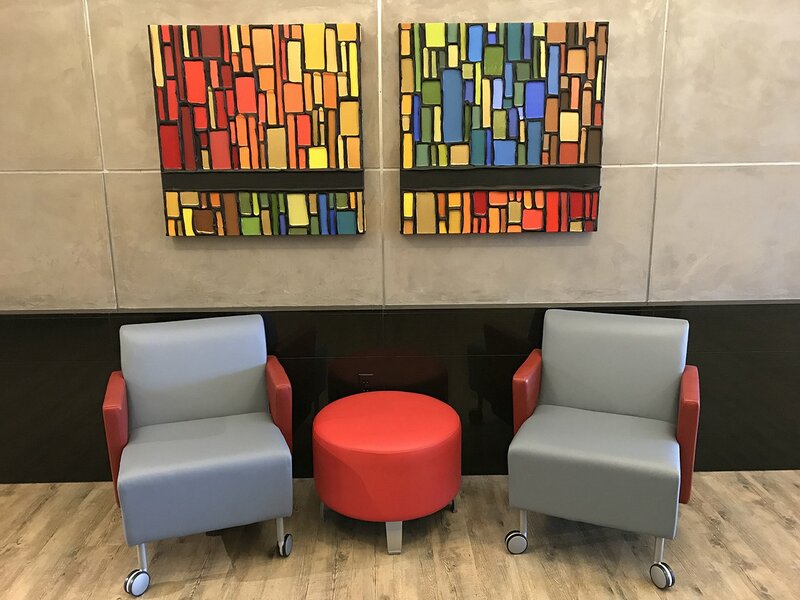 Artwork evokes emotion and inspires conversation. The artwork at QGC now tells a story, and it’s a good one. The question is, what’s the story in your office artwork? If you don’t have one, give us a call and we’ll help you replace those inspirational posters with something that can truly inspire!